China's unmanned submersible Hailong11000－also known as Sea Dragon 11000－recently set a national depth record for a Chinese robotic submersible, according to the Ministry of Natural Resources. The ministry, which merged with the former State Oceanic Administration in March, said in a statement on Monday that the record was set during a test dive in the northwestern Pacific Ocean on Sept 1 when the submersible reached a depth of 5,630 meters. 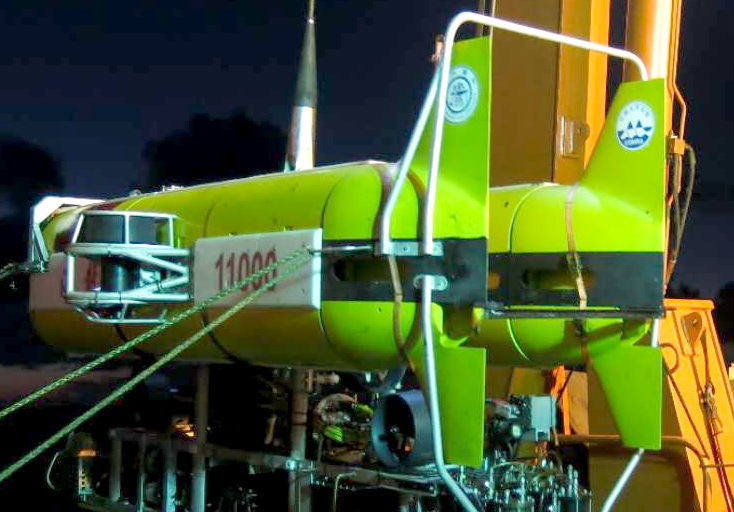 Hailong 11000is a remotely operated underwater vehicle designed by a team headed by Ge Tong at Shanghai Jiao Tong University's Institute of Underwater Engineering. It is designed to work at a maximum depth of 11,000 meters and is mainly tasked with deep-sea scientific observation. The record was previously held by Haixing 6000, which reached a depth of 5,611 meters during a test dive in the western Pacific in September 2017. Haixing 6000was developed by the Chinese Academy of Sciences and is the first remotely operated underwater vehicle built by China that was capable of diving to 6,000 m.
In the operation on Sept 1, Hailong 11000stayed underwater for 13 hours and conducted four hours of high-definition observation of the sea floor. The operation also verified the vehicle's capabilities and reliability, the statement said. Hailong 11000made its first dive on March 30 in the western Pacific, reaching a depth of 410 m, while testing its control, power, propulsion and location systems. On April 1, it dived to 2,605 meters. According to the China Ocean Mineral Resources Research and Development Association, which uses the Hailong, the vehicle is scheduled to perform an 11,000-meter test dive in three years. The craft's mother ship, Dayang 1, is a 5,600-metric-ton scientific research ship based in Qingdao, Shandong province. It was built in the former Soviet Union in 1984 and was purchased by the China Ocean Mineral Resources Research and Development Association in 1994. The vessel has received several upgrades in China and has been used for many oceanographic survey missions. China has been focusing on deep-sea exploration and has allocated considerable resources in the research and development of advanced submersibles. So far, the nation has had two manned deep-sea submersibles, Jiaolongand Shenhai Yongshi, and several robotic models, including the Qianlongand Hailongseries. Currently, researchers at the China Ship Scientific Research Center in Wuxi, Jiangsu province, are developing a manned submersible capable of reaching the bottom of the Mariana Trench in the western Pacific, the world's deepest known trench.